Mayuresh Mercantile Pvt. Ltd. is an esteemed Supplier and Exporter of high quality PVC Cling Film. Our PVC Cling Film is preferred for its great utility and sturdiness. We procure these films from reputed vendors, who control their quality as per international quality standards. 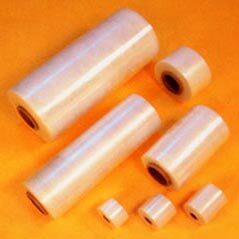 We are offering premium quality PVC Cling Film at very reasonable price.